Why use a fitness tracker? Counting calories, monitoring heart rate and coming up with a personalised training plan are all part of the many benefits it provides. These, and more are just a tap away with the Polar Vantage M.
Look no further, as the fitness tracker you have been looking for may have just arrived. At first glance, the display leans towards a slick, minimalist theme which lends it a sophisticated air. The display was large enough to reflect numbers and words comfortably. However, the display was a tad dim at times, which needed to be manually brightened with it’s built in LED. 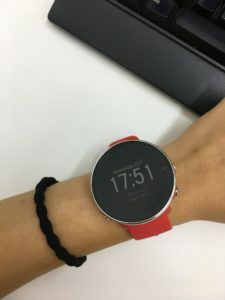 The fit was snug, even though I had a smaller wrist, wearing it did not feel like it was slipping off. The sports strap it came with is quite breathable, eliminating the issue of sweaty watch straps. Its silicone coating also prevents abrasions during vigorous training sessions, such as lifting. Currently, the colours available for the sports band are red, white and black, which are suited to all styles. Fashion approved! Turning the watch over, you can see the heart rate sensors. It is enclosed in what seems to be a plastic casing, which is a stark contrast with the sleek watch face. This gives it a bit of a bulky look at the back (but hey – no one is going to see how the back of the watch looks like once it is on your wrist). The buttons on the side of the watch make it fairly simple to navigate and we found it easier to grip, even with clumsy fingers. My only gripe was that it lacked a touchscreen display, which I discovered after the first few moments of poking in befuddlement at the watch face. For a watch jam-packed with so many functions, it only weighs a mere 45g, making it one of the lightest amongst all the other watches Polar offers. It was pleasant wearing it throughout the entire day. Where to start? The Polar Vantage M provides a whole host of functions, so let’s start from the basics. The fitness tracker tracks your sleep, steps and heart rate, much like any other smartwatch in the market. 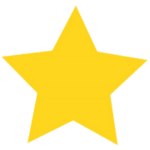 However, you may be surprised to learn that it also allows you to choose from the different types of sports you do. What’s more, it also provides sport-specific feedback after your workout. These options even include hiking and crossfit. What does this mean? Well, this makes the data collected even more accurate! Bonus points for allowing users to choose what is displayed on the watch while training. For ours, we chose speed, heart rate and intensity. For someone as forgetful as myself, this watch tracks your everyday activities automatically. You only need to concern yourself with starting and ending a training session. We all know the importance of VO2 – the higher, the better. 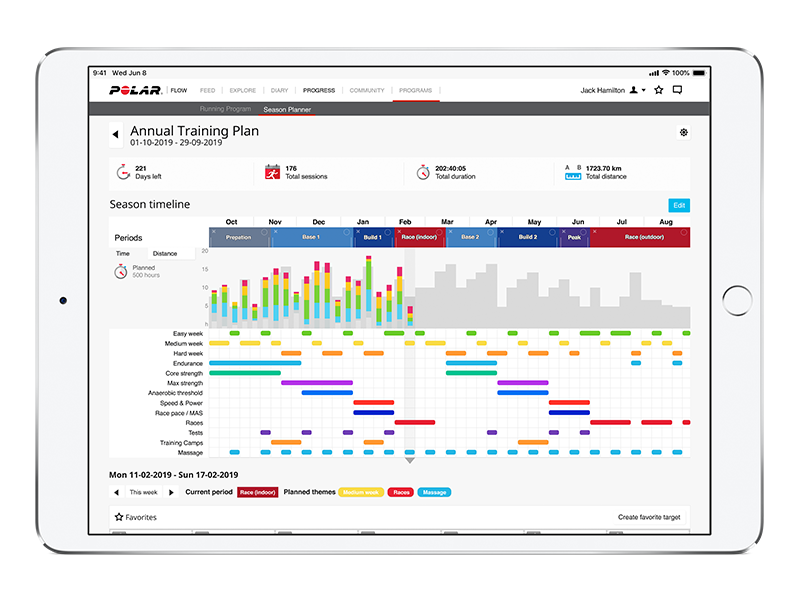 Measuring it is made possible with Polar’s running index which stood out against all its other functions. It gives you a sense of your VO2 capacity, reflecting endurance levels. It was somewhat of a letdown to find out that it does not provide music capabilities. As someone who relies on good tunes to get through a particularly intense training session, I would have to rely on other means to get the music. 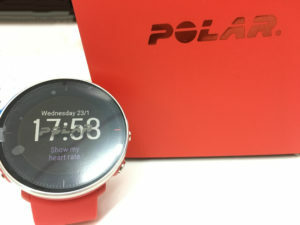 However, Polar announced that more features are set to be released in 2019. Here’s to hoping that the music feature will be added by then! Health enthusiasts, rejoice! Gone are the days of forking out extra cash to hire a personal trainer. Polar provides one for free, going by the name of Polar Flow. Set up Polar Flow with your phone or computer and you’re good to go! What do you get from it? A wealth of personalised data for you: and the best part is that it doesn’t stop there. We were quite blown away by the training plans that were offered as well. It gives you the freedom to create one from scratch, or use their ready-made ones which adapt to suit you. 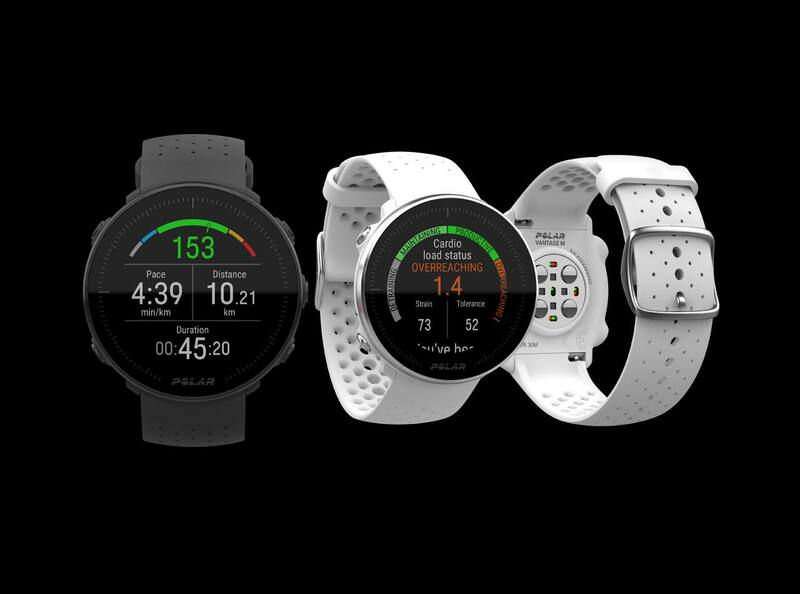 When it comes to battery life, Polar claims an impressive training time of 30 hours. This is impressive, considering its GPS capabilities as well. It would easily last through a few marathons. For the average user, this means that it will last you a week of daily use without charging, or even more. 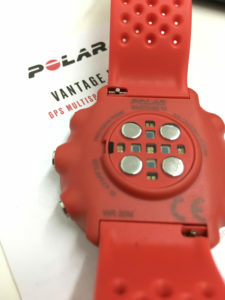 Our Polar Vantage M has not been charged since unboxing and is still going strong! Curious to test its accuracy, we swung the watch back and forth while seated to see if we could fool it. Yes, it fell for the trick, recording 46 steps taken after half a minute of doing so. Bear in mind though, that unless you are specifically intending to generate a false reading, the Polar Vantage M remains relatively accurate during the course of your daily activities. We were unable to test the accuracy of the heart rate sensor without an actual heart rate monitor. Nonetheless, rest assured that Polar implements top-notch technology into its sensors. Combining optical heart rate measurement using LEDs with skin contact measurement, there is a lower risk of inaccurate readings. Go about your everyday activities and workout with a piece of mind…and heart. For those looking for a fuss-free fitness tracker, this is for you. However, those seeking more out of their tracker (such as email capabilities), it would be a miss with Polar. As a multi-sport watch, its got the essentials pretty much covered. It was designed as a fitness tracker, and it does just that. There is definitely the potential for this compact but powerful watch to optimise your training sessions. By far Polar’s best fitness tracker, it sure does not disappoint. A good balance of functionality and aesthetics, fitness fanatics are able to get the best of both worlds. Get set to impress at the gym with the Polar Vantage M! Watch out for the envious glances!